after a busy couple of weeks and so many thoughts bouncing around in my head, i find it difficult to know where to start, what to say. when i feel overwhelmed i tend to just be quiet, i have probably said that before. but i'm going to try and push through that feeling. yes, i prefer to share images and i hope the images i do share communicate what i am trying to say, but today i'll add - slowing down is hard and asking why and how can get tiring. in this 'hustle' culture slowing down can look lazy, look as though you're taking the easy road. even in barbados, this island lifestyle, we hustle. i heard the term 'intentional living' the other day and it made me think more about the type of lifestyle i am trying to intentionally live. do people even give much thought to their intentions? intention is a thing intended; an aim or plan. so often we just go with the flow, wake up and get going, how often do we have an aim, similar to our why i suppose but i see it more as the actions we are taking towards our why. intending to quiet myself and slow down, i sat in my backyard and looked up. 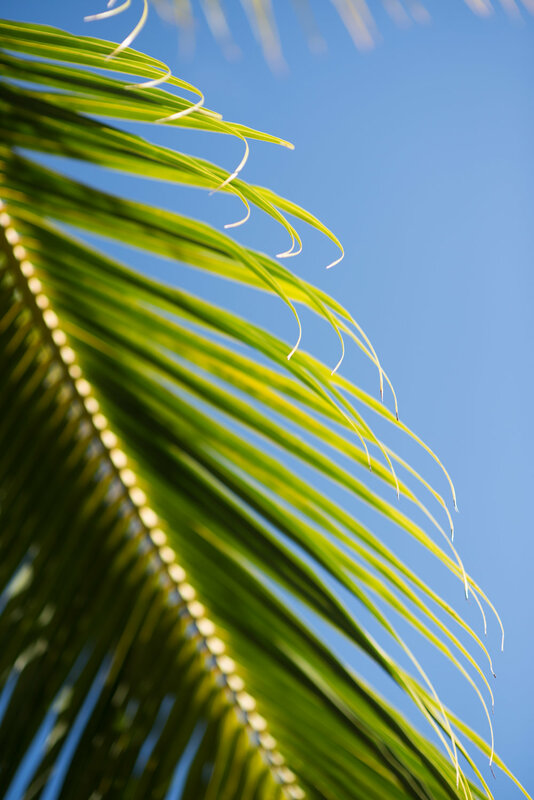 i watched the coconut fronds dance in the wind for ages. i studied them against the blue sky. intention fulfilled.